Google I/O 2017 is a 3-day long event being held near the GooglePlex complex in Bay Area of California. The event usually features Sundar Pichai with his complete squad talking about the next version of Android, along with other accomplishments. This year brings in more announcements related to Google Assistant and Google Home, the two newest products that Google boasts about. We’ll list down the top announcements from Google I/O 2017 that are worth noting. The next version of Android, version O is going to launch the end of this year. There has been much hype around this version because of Project Treble and a lot of other updates which are going to make Android a lot smoother. There will be improvements to battery life and security. With picture-in-picture, you can seamlessly do two tasks simultaneously, like checking your calendar while planning a party on a Duo video call. Smart Text Selection improves copy and paste. By using machine learning to recognise entities on the screen – like a complete address – you can easily select the text you want with a double tap, and even bring up an app like Maps to help navigate you there. This was much needed by Android lovers. Android also promises that the smartphone will be able to do a day of charge, because of the optimisations made to the battery. A lot of these improvements have been mentioned on Google’s blog here. Google Allo was the first product by Google to feature smart replies. The Artificial Intelligence(AI) built into the app could identify the tone of the chat and suggest you responses. Although this meant that Google is storing your data and it is not private to you, it also meant that chatting was easy since Google was predicting your responses. Now, the company has extended this to Gmail and Inbox by Gmail. The feature already drives 12 percent of replies in Inbox on mobile. Starting today, Smart Reply is coming to Gmail for Android and iOS too. Smart Reply suggests three responses based on the email you received, and once you’ve selected one, you can send it immediately or edit your response starting with the Smart Reply text. Over the course of 9 years, Android has surpassed a huge milestone. Android has now over 2 billion active devices across the globe. “This is an extraordinarily humbling milestone—and it’s the largest reach of any computing platform of its kind,” says Google. These 2 billion active devices include smartphones, smartwatches, tablets, TVs, cars and Chromebooks. Android Wear took over the smartwatch industry by storm, and the company has collaborated with huge industry players. Android Auto is seeing 10x user growth, and just this week Audi and Volvo announced next generation infotainment systems will be powered by Android. Chromebooks, which can now run Android apps, comprise nearly 60 percent of K-12 laptops sold in U.S. schools and momentum is spreading. With 1 million new device activations every two months, Android TV has doubled its number of users since last year. And today Google announced that Android TV is revamping its home screen with a new channel-based, content-first experience so you can discover new shows and watch your favourites even faster. Only a couple of days back we reported that Google is going to launch its Assistant for iOS devices, and the company has already made that announcements in I/O 2017. The Assistant is already available on more than 100 million devices and starting today, Google is bringing the Google Assistant to iPhones. Whether you’re at home or on the go, your Assistant is ready to help. The Assistant on iOS is available on version 9.1+. Google Assistant is going to compete with inbuilt Siri in iPhones and iPads. We’re not sure if Assistant is coming to MacBooks as well, but we can always use Google Now on the desktops and laptops. Soon the Assistant will also roll out to eligible Android phones in Brazilian Portuguese, French, German and Japanese, and by the end of the year, the Assistant will support Italian, Korean and Spanish. Starting today on Google Home, you can schedule appointments and soon you’ll also be able to add reminders. Since it’s the same Google Assistant across devices, you’ll be able to get a reminder at home or on the go. In the coming months, just ask your Assistant and it will connect you to mobile phones or landlines in the US or Canada for free. There’s no setup and no need for a phone or additional app. People in the US or Canada will be able to call others in the same area for free! You can soon use Spotify’s free music offering, as well as Soundcloud and Deezer, with Google Home. Google is adding Bluetooth support to Google Home, so you can play any audio from your iOS or Android device. 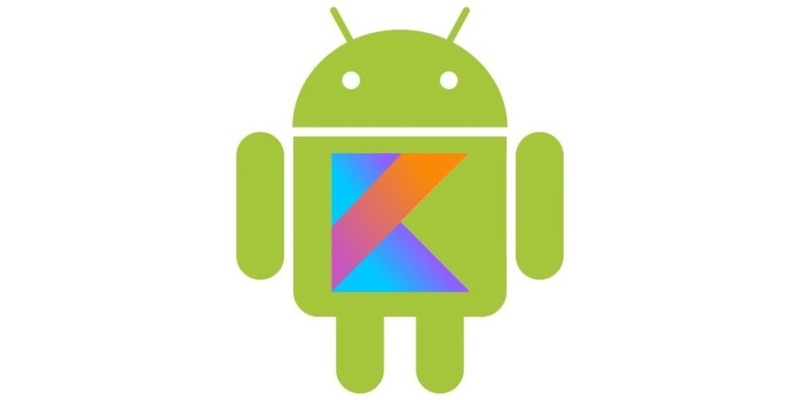 Today the Android team has announced the addition of support for the Kotlin programming language. Kotlin is a mature language that will make Android development faster and more fun. It has already been adopted by several major developers – Expedia, Flipboard, Pinterest, Square, and others – for their production apps. Kotlin also plays well with the Java programming language; the effortless interoperation between the two languages has been a large part of Kotlin’s appeal. The Kotlin plugin is now bundled with Android Studio 3.0 and is available for immediate download. Kotlin has been requested by a lot of developers and it is 100% fit with Java, which makes it easier for developers to switch to. To ensure safety to your smartphone, your photos, emails and other important things, Play Protect is Google’s comprehensive security services for Android, providing powerful new protections and greater visibility into your device security. Play Protect is built into every device with Google Play, is always updating, and automatically takes action to keep your data and device safe, so you don’t have to lift a finger. It actively scans your device and is constantly improving to make sure you have the latest in mobile security. Play Protect watches out for any app that might step out of line on your device, keeping you and every other Android user safe. Google has also launched Find My Device so that you can track your smartphone if you have lost it. With Find My Device you can locate, ring, lock and erase your Android devices—phones, tablets, and even watches. It is similar to find my iPhone which grew popular with iPhone users. This is an important update because over 2 billion Android devices are there globally being used. With all these updates, you can be sure of an exciting year for Android. For those who have been waiting to buy an Android, you will get a lot of options by the end of this year, including Google Pixel 2. Security Experts Are Stunned As a 11 yr Old Indian Origin Boy Hacks Bluetooth Devices Using Raspberry Pi To Control Teddy Bear!